Successfully saved Parmesan Roasted Green Beans to your Calendar. You can also save the ingredients to your Grocery List. Recipe video above. The most amazing SUPER SPEEDY way to prepare fresh green beans!! 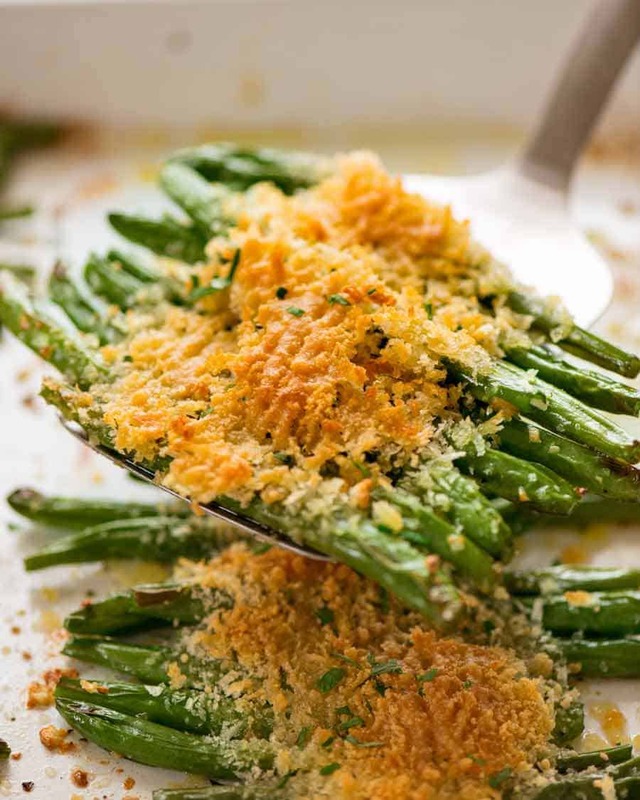 Tender crisp garlic green beans with terrific crunch from breadcrumbs and savoury from parmesan. Be prepared to fight over the little parmesan wafers - the are the gold nuggets! !